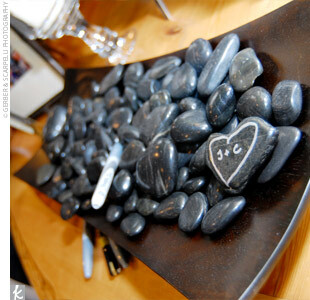 I have have been collecting rocks all summer for my guest book. 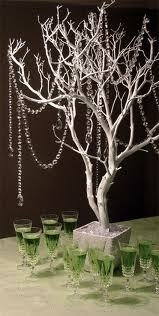 I thought it would be super cool if I had a crystal tree surrounded with rocks and moss. OMG! Who knew a branch plastered in a pot with some garland would be so expensive. I am purchasing some 50lb plaster for another wedding project and I have plenty of tree branches available. I also have a big flower pot... Crystal. I can go two ways on this one the super cheap way with acrylic... or the more expensive way. I found acrylic garland 30 feet for $22 or 30 feet of glass for $75.